AJJIF World Ju-Jitsu Championship in Sports Ju-Jitsu, Combat Ju-Jitsu and MMA. International Katabami Ryu Ju-Jitsu Seminar with O-Sensei Alexey Kunin 10 Dan Ju-Jitsu ( USA ), Founder / President of the AJJIF. Headmaster / Head Family, Katabami Ju-Jitsu Clan. 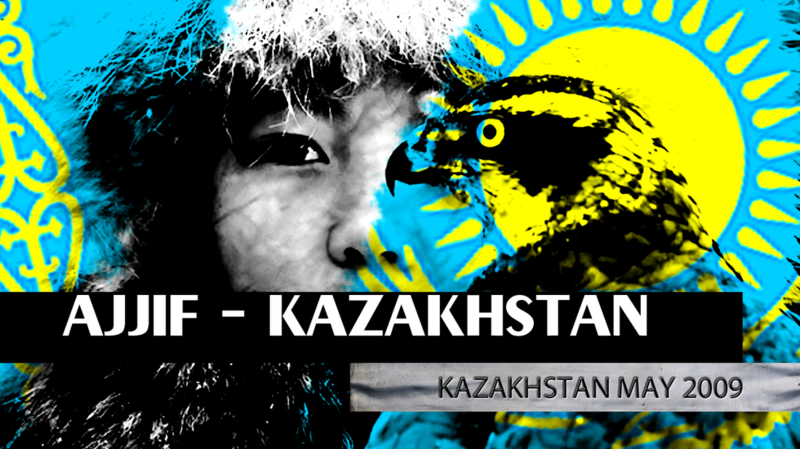 This International Event is Registered and Recognized by the Ministry of Sports and Tourism of Kazakhstan. 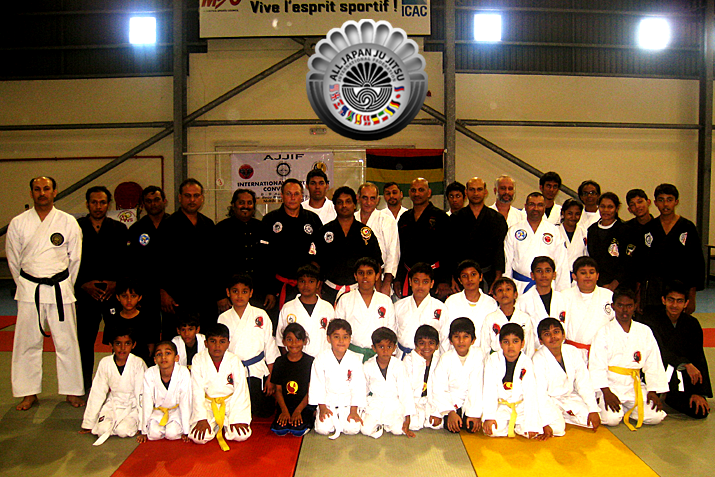 Organized by AJS Ju-Jitsu. Sanctioned by Sports Committee for the Ministry of Tourism and Sports of Kazakhstan and AJJIF- ALL JAPAN JU-JITSU INTERNATIONAL FEDERATION. O-Sensei Alexey Kunin 10 Dan Ju-Jitsu ( USA ), Founder / President of the AJJIF, Headmaster / Head Family, Katabami Ju-Jitsu Clan. Hanshi Jhonny Bernaschewice, 9 Dan Chi Ryu Aiki Jitsu ( Belgium ), Shihan Ralf Karp, 8 Dan Kogaku Shin Do ( Germany ), Shihan Hans Pihelgas, 6 Dan Chikara Ryu Ju-Jitsu ( Sweden ), Kyoshi Christian Hvidberg, 5 Dan Ju-Jitsu ( Denmark ), Sensei Michael Werk, 5 Dan Ju-Jitsu ( Germany ), Sensei Terje Theiss, 2 Dan Ju-Jitsu ( Denmark ). 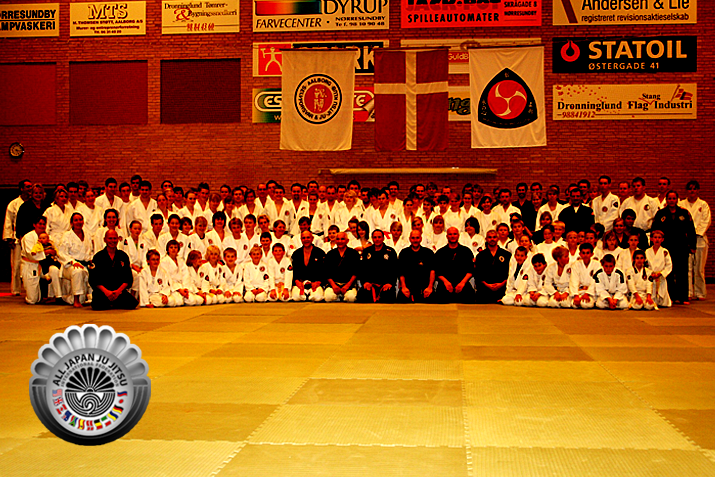 Celebration of 35 years Anniversary of Aalborg Ju-Jitsu Club in Denmark. Organized by Kyoshi Christian Hvidberg, 5 Dan Ju-Jitsu, AJJIF Representative ( Denmark ). Sanctioned by AJJIF - ALL JAPAN JU-JITSU INTERNATIONAL FEDERATION. National Katabami Ryu Ju-Jitsu Seminar, the largest organized AJJIF Ju-Jitsu Seminar in Australia with the highest ranking Australian Ju-Jitsu Masters gather together. With Founder / President of AJJIF O-Sensei Alexey Kunin 10 Dan Ju-Jitsu ( USA ), Headmaster / Head Family, Katabami Ju-Jitsu Clan, Soke Dave Franklin, 10 Dan Ju-Jitsu. Vice President of AJJIF. Official Australian Representative of AJJIF, Hanshi Dante Roccisano 10 Dan Aiki Jutsu, Inducted into the Australian Martial Arts Hall of Fame 2007, Ron Ramadge 8 Dan Ju-Jitsu, Trevor Smith 7 Dan Ju-Jitsu, Emmanuel Zahra 7 Dan Ju-Jitsu and many more... Organized by Dave Franklin Martial Arts Organization. With the support of the Local Australian Government and City Officials. 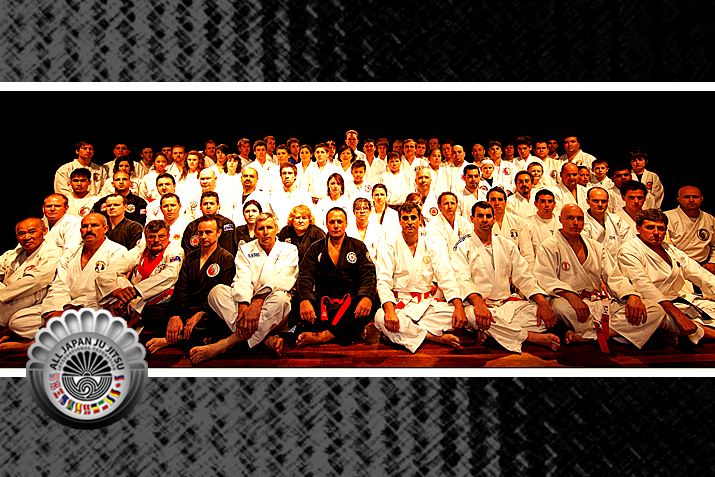 Sanctioned by AJJIF GLOBAL - ALL JAPAN JU-JITSU INTERNATIONAL FEDERATION. O-Sensei Alexey Kunin 10 Dan Ju-Jitsu ( USA ), Headmaster / Head Family, Katabami Ju-Jitsu Clan, Founder / President of the AJJIF, Shihan Sorab Mowlabucus, AJJIF Representative ( Mauritius ), Soke Krishna Gopal, AJJIF Representative ( Holland ), Sensei Terrail Bruno, AJJIF Representative ( Reunion Island ). This International Event is Registered and Recognized by the Ministry of Sports of Mauritius. Sanctioned by AJJIF GLOBAL - ALL JAPAN JU-JITSU INTERNATIONAL FEDERATION. O-Sensei Alexey Kunin 10 Dan Ju-Jitsu ( USA ), Headmaster / Head Family, Katabami Ju-Jitsu Clan, Founder / President of the AJJIF. 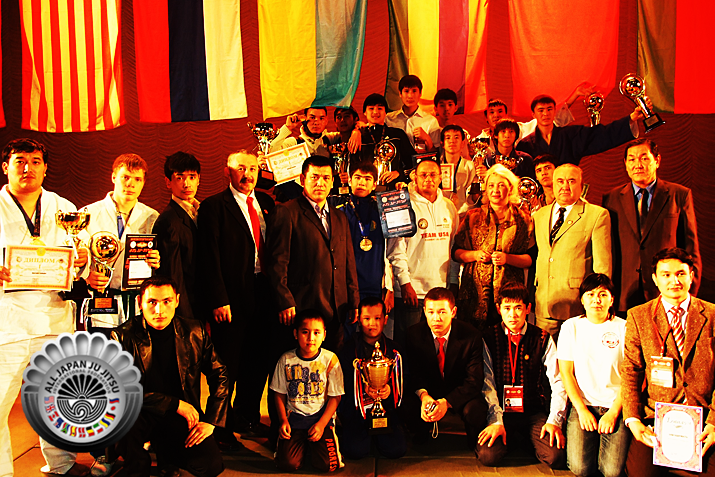 National Kazakhstan Sports AJS Ju-Jitsu Tournament and First Kazakhstan National University Students Tournament Organized by Kazakhstan National Medical Institute. Sanctioned by AJJIF - ALL JAPAN JU-JITSU INTERNATIONAL FEDERATION.